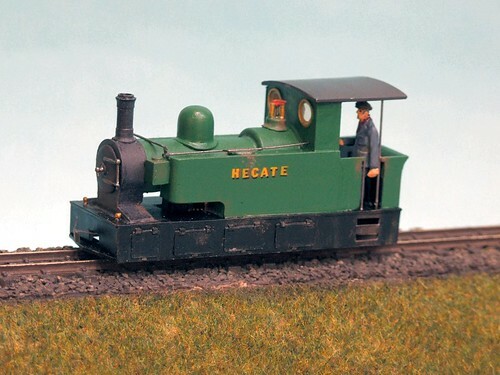 I was recently contacted by prolific OO9 modeller Dr Charles Insley, who it seems has been equally as inspired by the High Weald Light Railway concept as I was. He has designed a new layout based on Cranbrook – in his usual 4mm scale – another interpretation of the same fictional railway! The loco pictured above is one ready and waiting for service, it’s a Golden Arrow kit for the distinctive Sharp Stewart locos of the 3′ gauge Southwold Railway, modified to suit an 0-6-o chassis. Charlie’s idea was originally sparked by the purchase of a Skaledale oast house, which led him to correspond with Dave Holman about re-using the HWLR history. Planning sounds pretty well advanced, but his current modelling activity is focused on a 60cm gauge French layout so for now the “other” Cranbrook is on pause. The second loco is an adaption of the Golden Arrow kit for the Southwold Railway loco ‘Wenhaston‘, modified into a tramway loco. The name, of course, was used on “at least three” locos by Col. Stephens including No. 4 of the Kent & East Sussex Railway – the large but little-used 0-8-oT. A few other locos are also at the ready to work on this planned layout, some of which seem to have ventured out on loan to the Vaenol Tramway to run on another of Charlie’s layouts, Kinwardine Wharf. I’m looking forward to seeing more of this alternative take on the High Weald in the future, and the new French layout of course. Photos are taken by and copyright of Mick Thornton and re-used with permission. Thanks Mick! 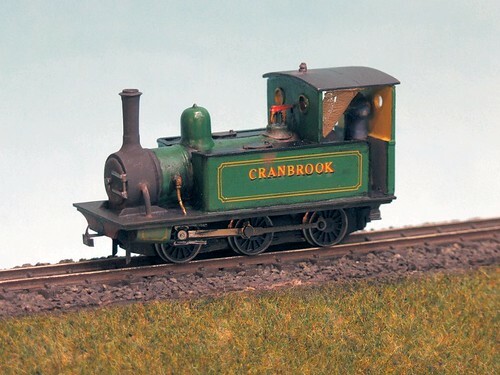 This entry was posted in 009, cranbrook, model railways, narrow gauge. Bookmark the permalink.